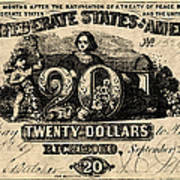 CONFEDERATE BANKNOTE. 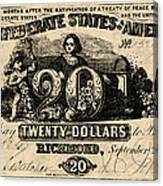 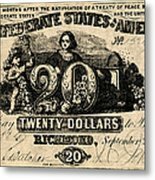 Twenty dollar banknote issued by the Confederate States of America at Richmond, Virginia, September, 1861. Alexander H. Stephens, Vice President of the Confederate States of America is at the left corner of the note.